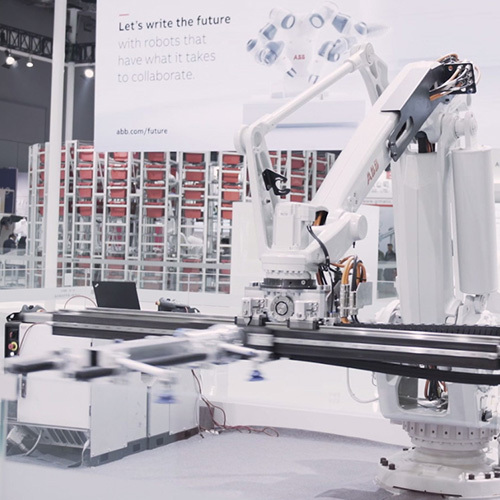 Foodmach is a market leading provider of robotic–based automation solutions and is a certified channel partner for ABB of Switzerland, and an Official System Partner of KUKA Robotics of Germany. We also supply Kawaski and Fanuc robotic automation and equipment from any original equipment manufacturer of your choice. Our strong solution culture allows us to tailor the right solution to meet your specific technical and operational requirements. These solutions help to improve productivity, product quality and safety. The ability to custom design, test and conduct product trials at our manufacturing facilities provide our client’s with confidence and ensure minimal disruption to production during installation and commissioning. 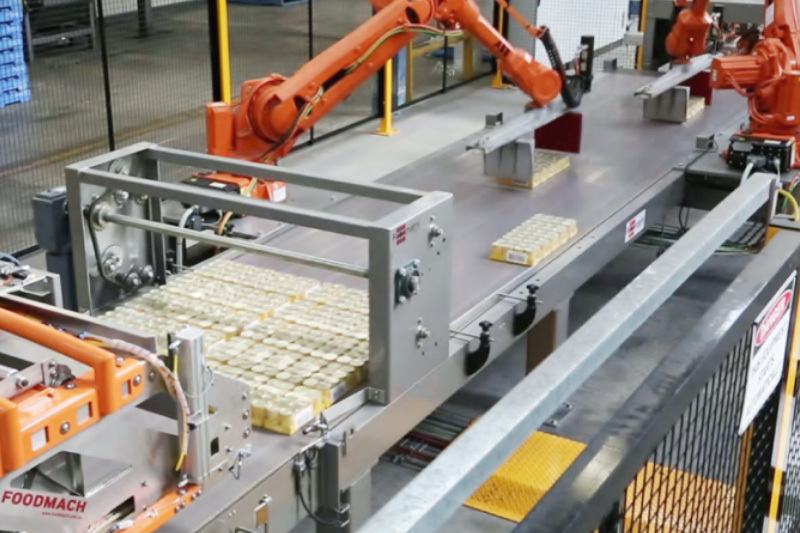 We are able to offer you multiple robotic solution concepts from simple cost-effective robotic solutions to more sophisticated systems such as Robomatrix®, the world’s fastest and most flexible palletising solution. Foodmach is able to provide total packaging line flexibility through picking, packing or palletising solutions. Using a Foodmach project manager to introduce a new robot to your line will guarantee you a job done well, the first time. 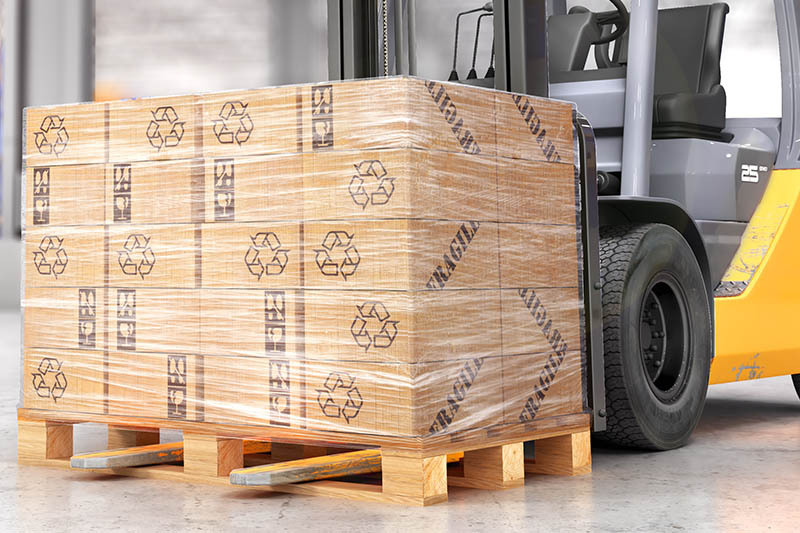 Ebook: Choose the best-fit pallet wrapping technology for your application. Why upgrade your pallet wrapper? Top 3 reasons to fully automate and upgrade your pallet stretch wrapping.